Chaka Khan was everywhere last night. She was everywhere and in fine voice too! I just kept my TV on BET because it had both the Celebration of Gospel and the UNCF Telethon. They both served up good music featuring Chaka Khan. First Chaka sang a Gospel influence version of her mega-hit “Through The Fire” on Celebration of Gospel. Then she was honored with performance by Melanie Fiona, Fantasia, Angie Stone, Stevie Wonder, and Ledisi just to name a few. She also sang a medley of songs. 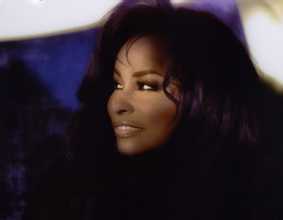 Chaka tore into her most recent hit “Angel” (2007) and then the classic “I’m Every Woman”. Chaka Khan is indeed every woman!